This year, local resident of Playa del Carmen, philanthropist and author of ‘Life’s a Beach’, Michele Samal Kinnon started a seasonal blog series, ‘12 Days/12 Ways‘, in an effort to draw attention to 12 worthy not for profit groups in Playa del Carmen and along the Riviera Maya and address their particular needs during this holiday season. On each of the 12 days leading up to Christmas, she will spotlight a different charitable organization and showcase the work being done and the results of the efforts. She plans to repeat this effort yearly, with updated information and wish lists. 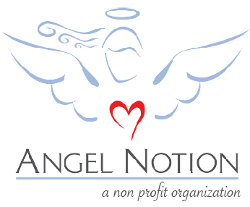 Here is the first installment highlighting Angel Notion. Please be sure to check in with her daily to see other non profs and people doing amazing things in Mexico! If you are interested in volunteering in Mexico or learning about other non-profit organizations in Mexico, we are also listing them on The MEXICO Report for your reference. Thank you Michele for making a difference in Mexico! Thank you Susie for helping spread all the good news that is being made in Mexico!